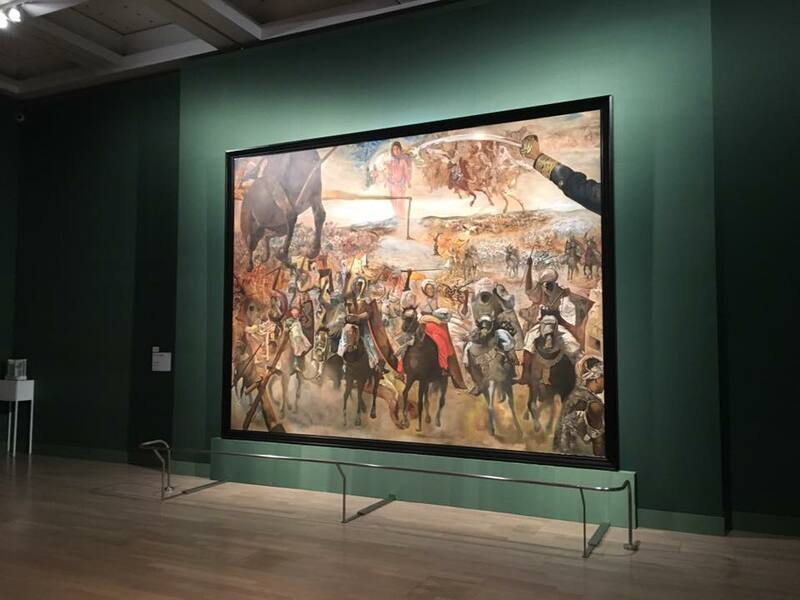 There’s Room for Both Gala and ‘Marie’ at the Top of Dali’s ‘Battle of Tetuan’! 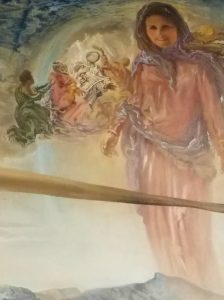 It turns out there’s room for both at the top of Salvador Dali’s large Battle of Tetuan painting: Gala standing above the battle scene, and – in a background detail – the coronation of the Virgin, for whom a young United Nations guide appears to have been the inspiration. 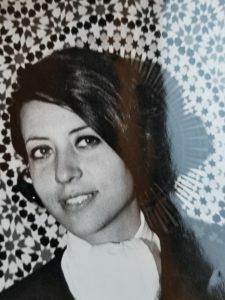 Readers of this blog (www.dali.com/news) are asked to refer to the post of Wednesday, Jan. 23 (the 30th anniversary of Dali’s death) to learn about Marie (nee Weizmann) Briefel. She was “discovered” by Dali in 1961 in New York to be the ideal look he was after for the Virgin at the top of the Battle of Tetuan picture. 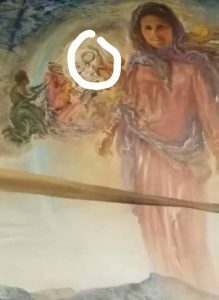 However, it now appears – thanks to the sharp eye of Dali scholar Elliott King, Ph.D. – that Marie’s face is that of a smaller background image of the Virgin, and not what we first reported in the Jan. 23 post. (See circled image, provided by Dr. King). King, who some months ago finally saw the masterwork in the flesh at the Morohashi Museum of Modern Art in Fukushima, Japan, was motivated after reading my blog (written exclusively for The Salvador Dali Society, Inc.©), to carefully scrutinize the upper details in this complex work. He detected that a comparatively small portrait of the Virgin, apparently done in black and white paint, is undoubtedly the face of Marie. 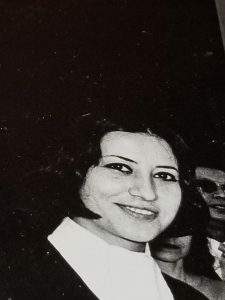 King reasons that it would be unlikely anyone during the period in Dali’s career when Battle of Tetuan was painted (1962) would command such a leading female role in a painting of his, other than Gala. I agree. It is now a virtual certainty that Marie Weizmann served as the inspiration for the figure of the Virgin. The matter, for me, points up the impressive lengths to which Dali would go to achieve his artistic intentions. Even such a relatively small detail (small in size, not in significance) warranted his insistence on visiting New York City universities to scope out foreign students or staff who might yield the Moroccan features he was looking for. 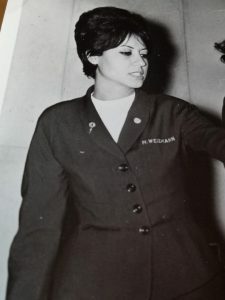 “Truly I can’t say I was necessarily surprised by The Battle of Tetuan, but it was just as impressive as I expected – which is saying something, since I had travelled 6,645 miles one-way almost entirely for the sole reason of seeing it in person!,” King says. Someday someone needs to do a book devoted expressly to nothing but the huge masterworks, of which there are some 20. Reynolds Morse did a small paperback in black and white in 1971 (Dali: The Masterworks), but I’m envisioning a colorful, elaborate coffee table tome – perhaps with my name as co-author, with Elliott King!